Heritage Adventures is run by a team of individuals who all share a personal passion for Cambodia. Heritage Adventures is about a quest to experience the ultimate details of landscape steeped in historical narrative, to gain the understanding of a society driven by cultural diversity and to enjoy the overwhelming beauty and charm of a country that has so much to offer. From bespoke gourmet menus to various travel options, let us take you on a journey where we cater for your specific needs and requirements. 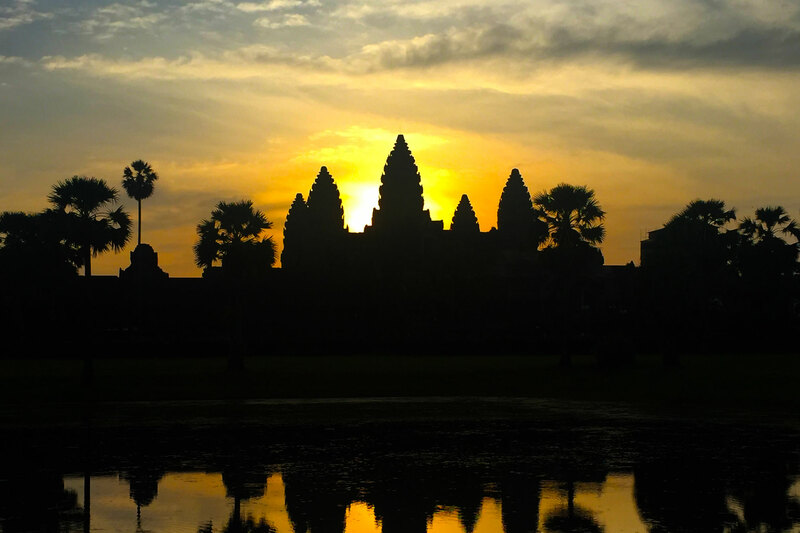 Heritage Adventures lets you travel in refined luxury whilst providing an intelligent and enlightening insight into the historical background of Cambodia. All our adventures are designed for small groups, couples and individuals. Start your day by visiting Angkor Thom, the last capital of the Khmer empire and explore its main and most notorious monuments – the Terrace of the Leper King, the famous Bayon temple, the Royal Enclosure and the Terrace of the Elephants. Enjoy a once in a lifetime experience with Heritage Adventures’ exclusive luxury camp. 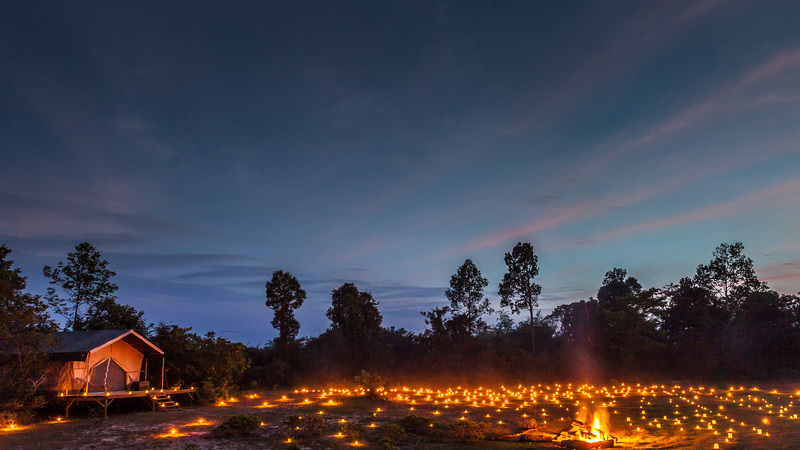 A tailor made trip to the destination of your choice : a remote temple, the heart of the jungle or on a Mekong river island. Enjoy your own private little cruise, lay back comfortably watching the lake’s life go by. Witness the sun setting majestically over Tonle Sap Lake while sipping Champagne (or the drink of your choice) and enjoying our signature canapés. 2 nights stay in our spacious and newly-refurbished Bungalow Suite, and discover Siem Reap the best way. Rate is not applicable during Peak Season and Chinese New Year! Rate for two persons in double or twin sharing! 3 nights stay in our spacious and newly-refurbished Bungalow, A dream-like journey among a millenary way of life! 4 nights stay in our spacious and newly-refurbished Bungalow Suite, experience Khmer monk blessing and explore the remote temples.